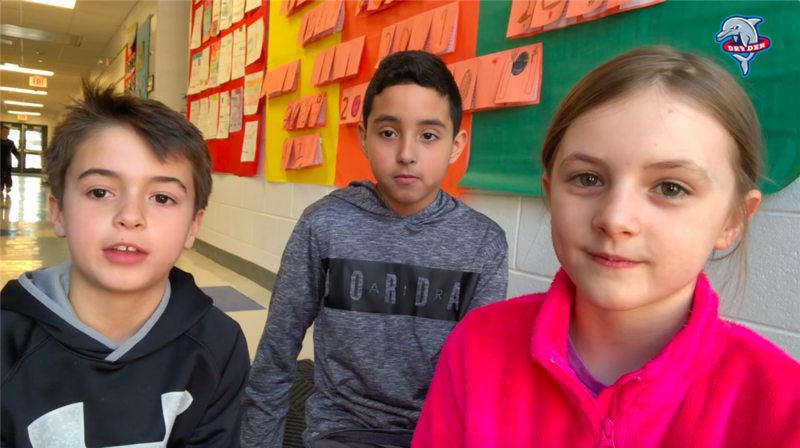 Click on the videos below to see what our students and teachers are up to! 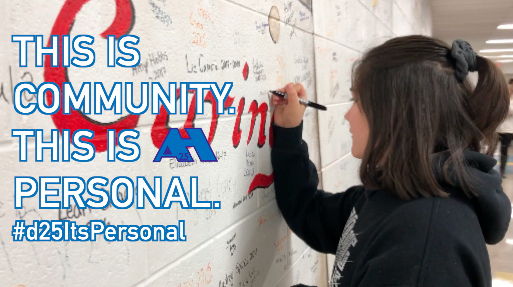 POTWP 2019 - This is Community. This is Personal. 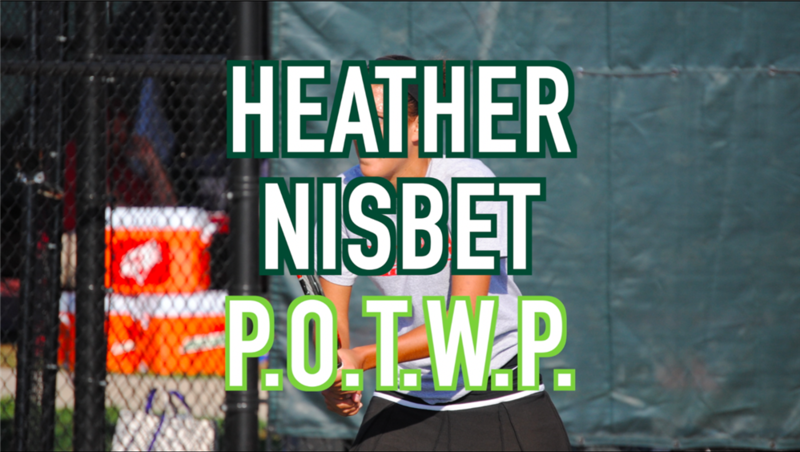 4/18/19 - Heather Nisbet works at Thomas as a Physical Education teacher, but she also went to Thomas herself. 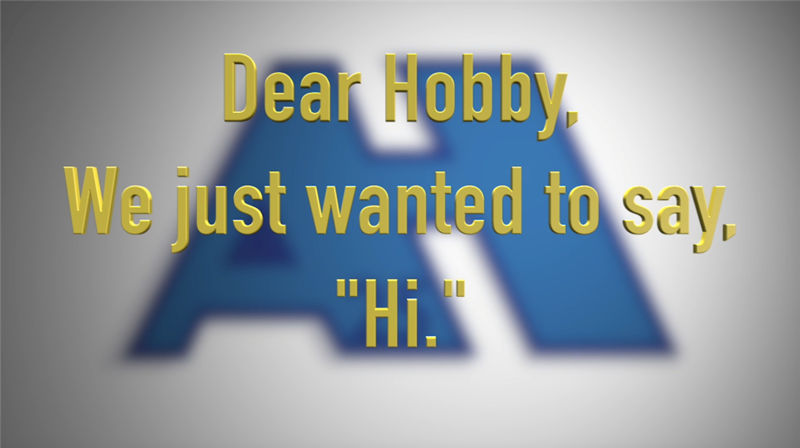 It's a perfect Arlington Heights story. 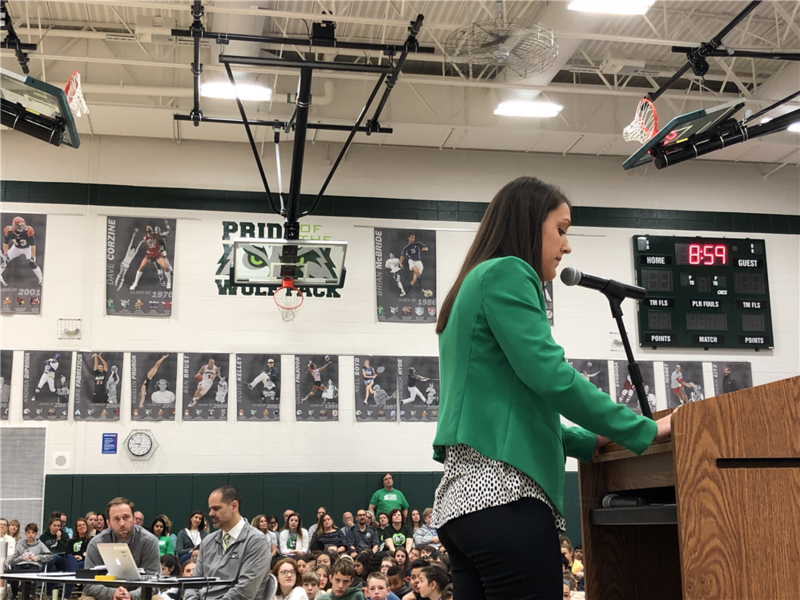 4/18/19 - Ali Svoboda played her way to the 4th best engineering school in the country, and flew back from Utah to participate in this week's POTWP Assembly. 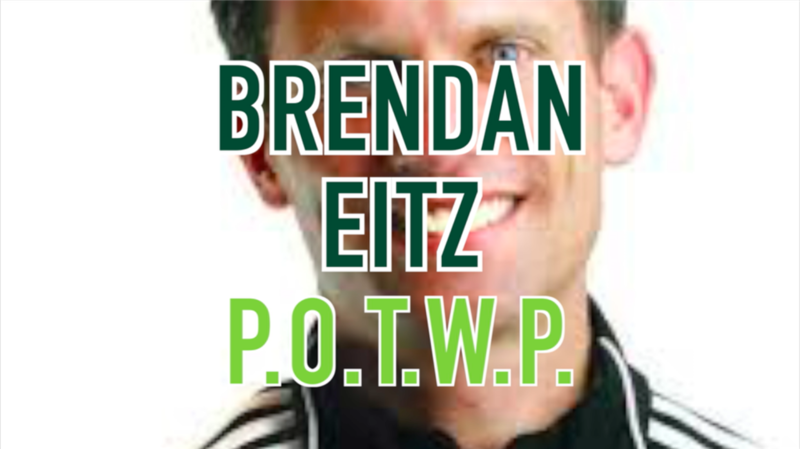 4/18/19 - Brendan Eitz grew up in Arlington Heights, coached soccer at Loyola University, and is now back to raise his family. 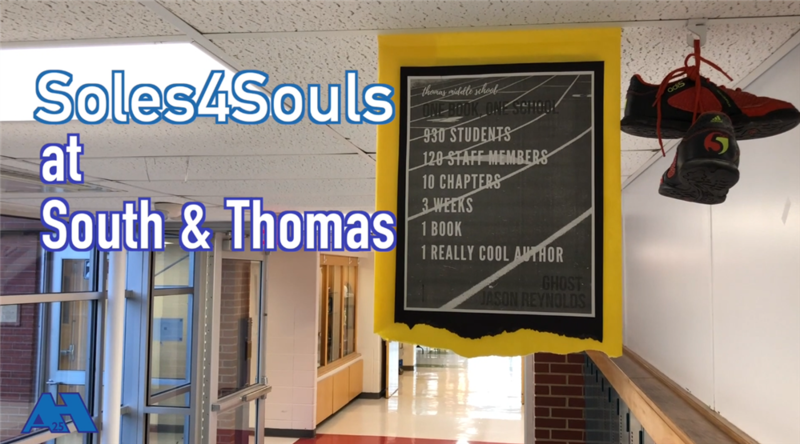 4/18/19 - Thomas Middle School is having it's annual book drive and has put out its summer reading list! 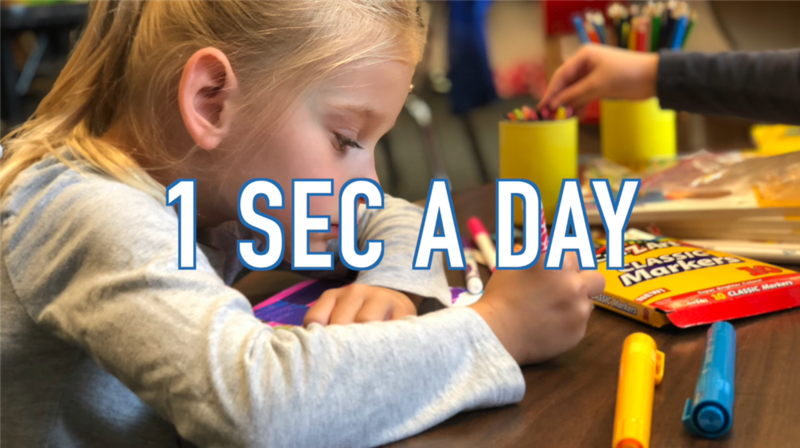 4/11/19 - Here's an example of how student ownership in one classroom has created a comfortable, engaging and easy space for our students to start their day off, in. 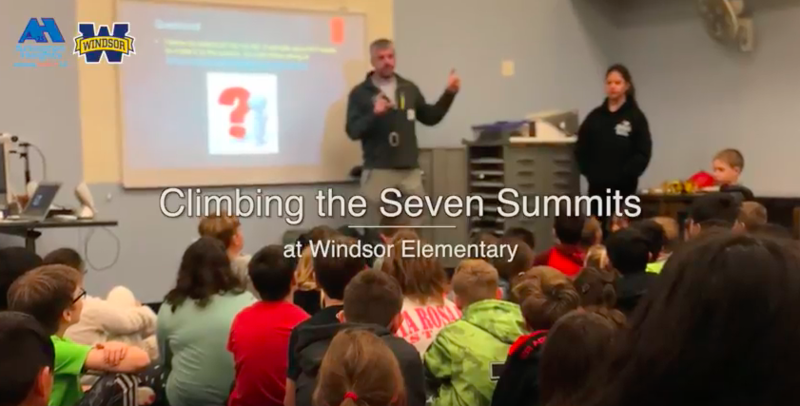 4/8/19 - The OMS STEAM night generated some fun discussion about what a couple of Owls want to be when they grow up. 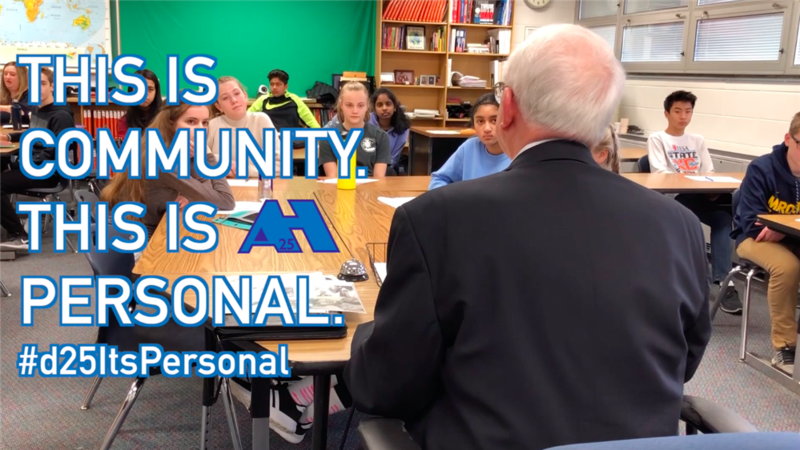 3/28/19 - Stories told first-hand from refugees, war veterans, and holocaust survivors made this year's TMS Oral History Day extremely special. 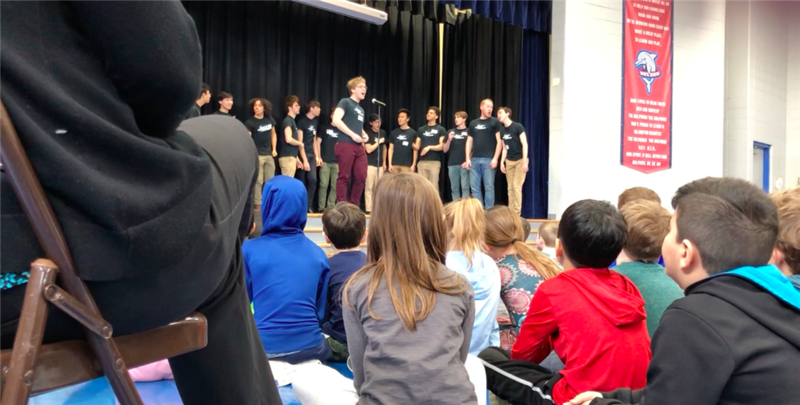 3/25/19 - Local senior citizens made time and the effort to come to our classrooms to teach skills, give perspective, and just connect with students on their hobbies, passions, and/or beliefs. How powerful and impactful can a cube be? 3/15/19 - Students got hands on, learning about platonic shapes. 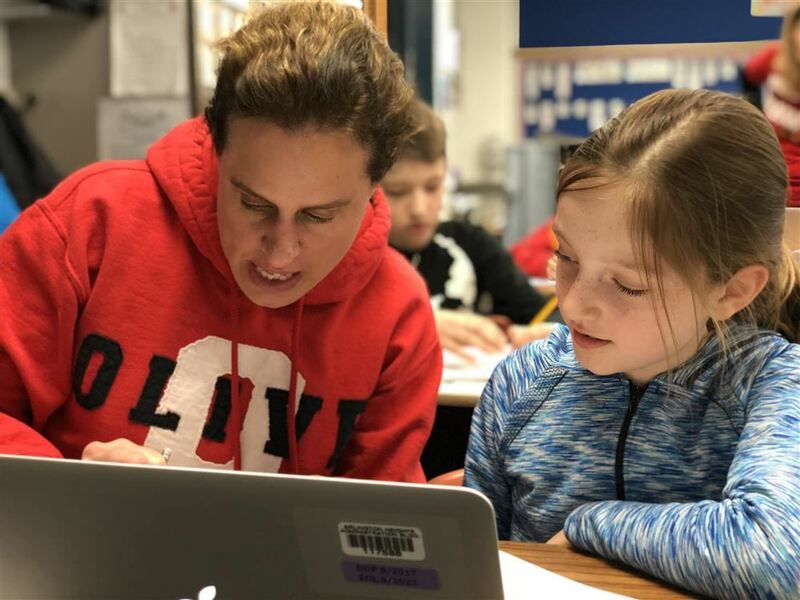 3/7/19 - At last month's School Board meeting, the Board approved a change in D25's Elementary writing curriculum. 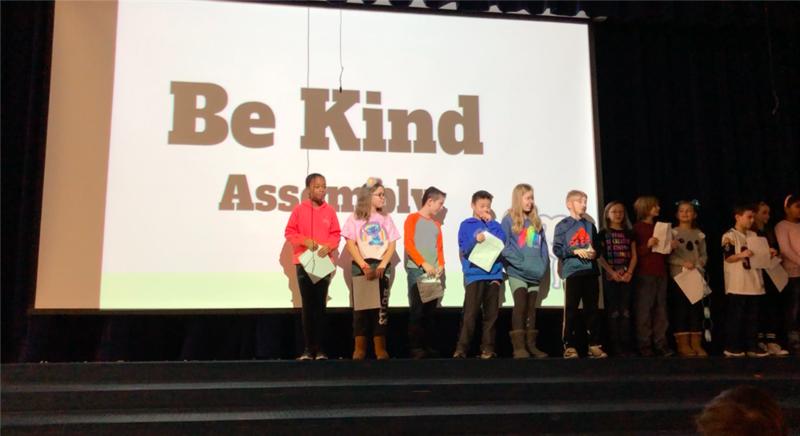 2/19/19 - Pride, environment, community and celebration at South with their quarterly C.A.R.D.S. awards. 2/14/19 - Students set goals, to achieve them. 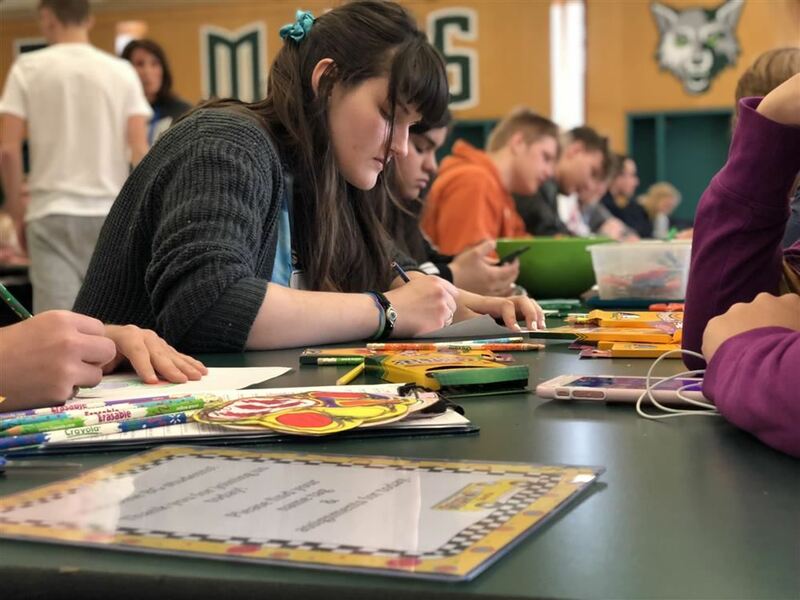 2/13/19 - Chemistry teachers at Thomas Middle School gave their students an assignment: create soap...and go! Garbage or recycle? The GB Green Team knows. 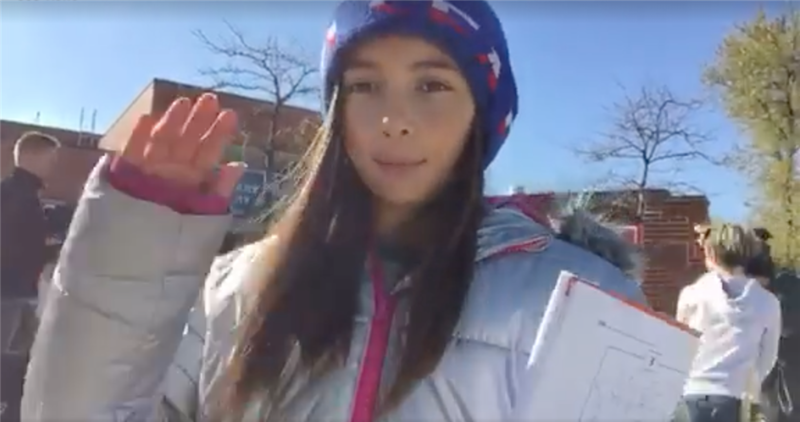 2/11/19 - The GB Green team is spreading a message. What can be recycled? What should be thrown away? 1/23/19 - How much do you know about Cerebral Palsy? 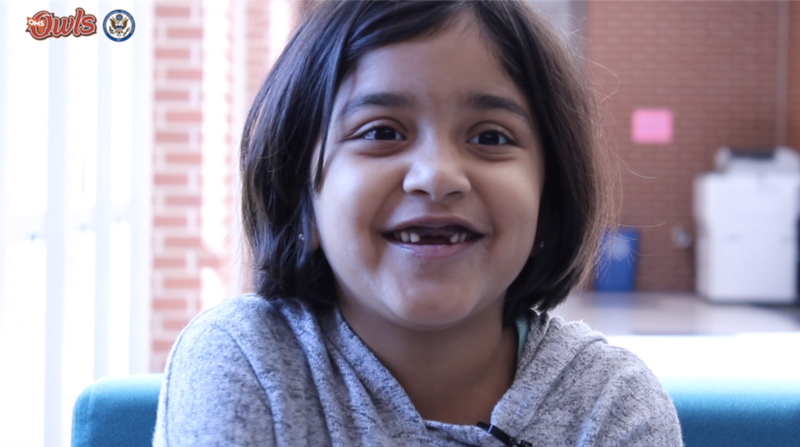 This student at Westgate wants to make sure her classmates have a chance to know all they can. 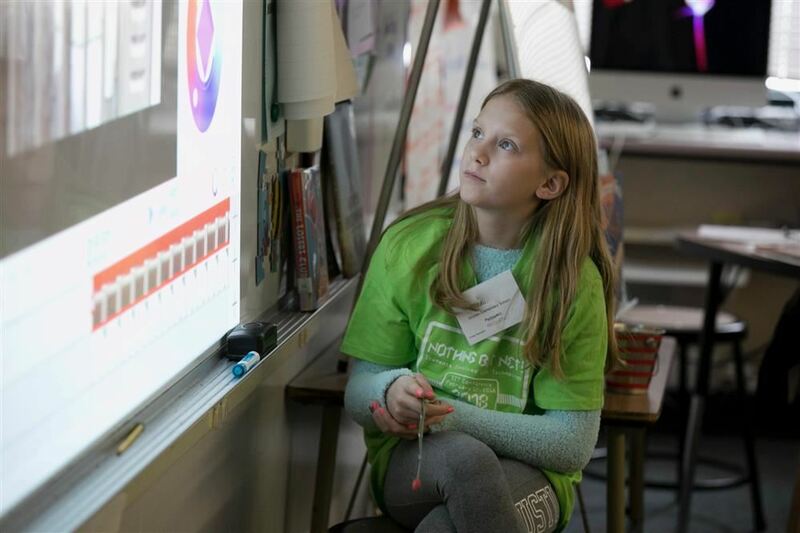 1/15/19 - The advanced math class at Olive introduced probability to their buddy second graders through games they invented. 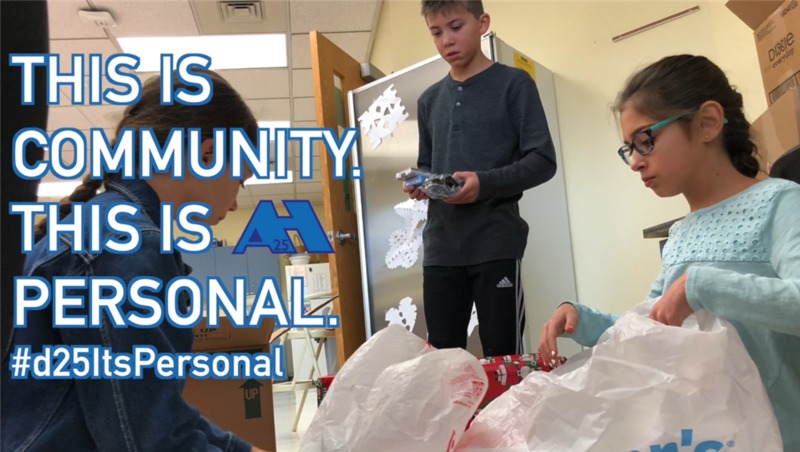 12/20/18 - It's the simple things that show the impact our staff & teachers have on our students. 12/10/18 - District 25 is reaching out by Teaching OUT. 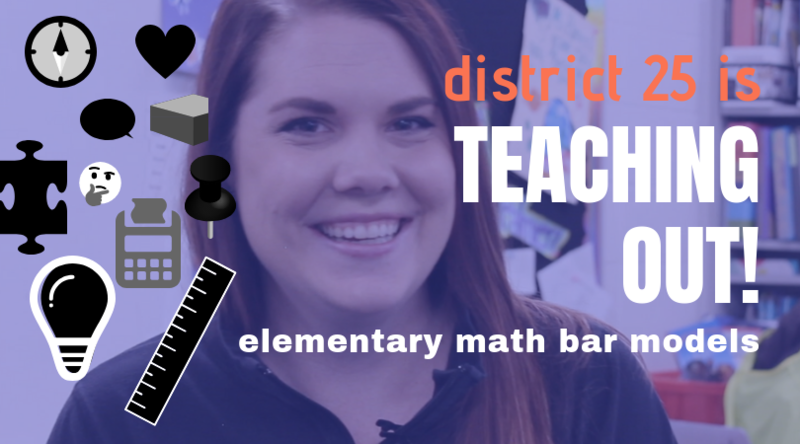 In this first edition of Teaching OUT, Erica Palmieri of Greenbrier Elementary School teaches about the Elementary Bar Method utilized during math lessons in the District 25 classrooms. 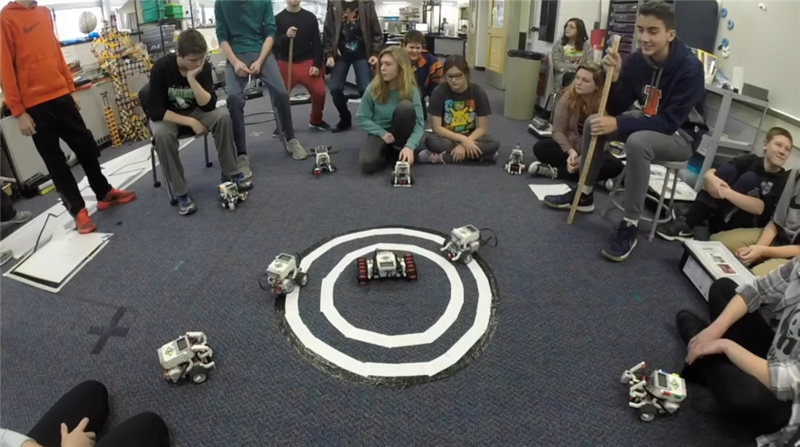 12/6/18 - Students at Westgate have some new pen pals to utilize to enhance their learning about science and engineering. 12/3/18 - The Den Club has given away 800 pairs of shoes and now looks to attack the sleep issue. 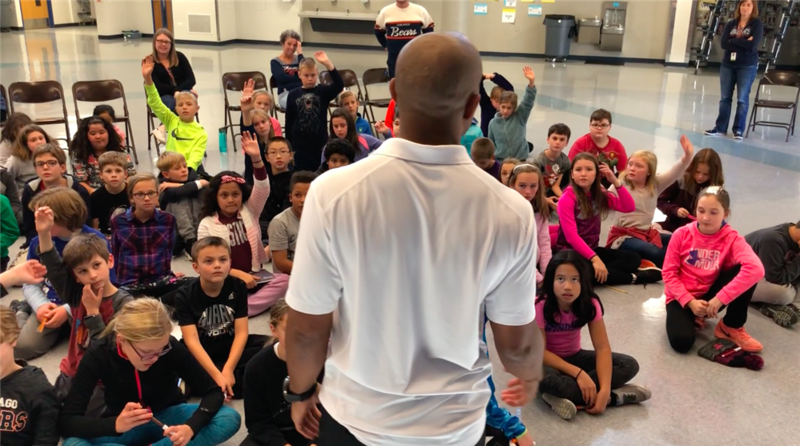 11/30/18 - The One Book - One School movement took an extra leap this year, as it inspired the Thomas and South communities to give. 11/19/18 - It's one week after Veterans Day but it's not too late to never forget. 11/16/18 - Students got to experience all things trees to enhance their learning. Solids, liquids and gasses...oh my! 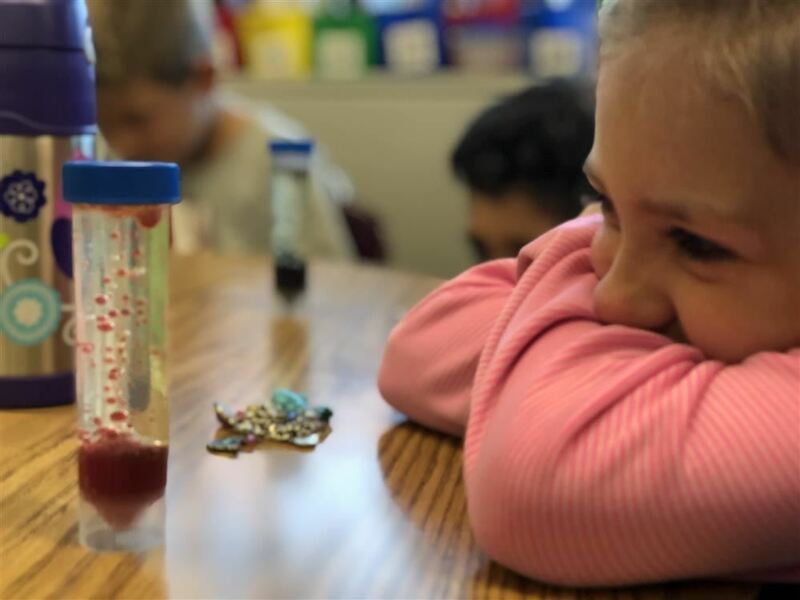 10/9/18 - A visit from a real scientist excites the Westgate, multi-age, classrooms. 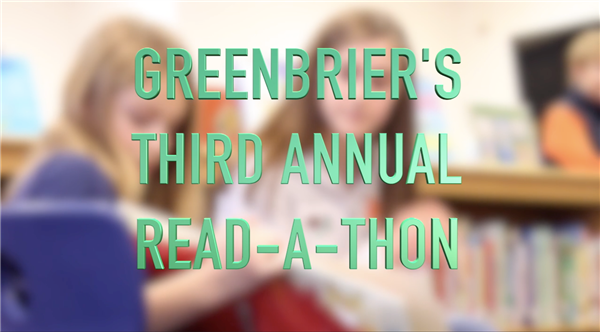 10/26/18 - The read-a-thon went well beyond celebrating reading at Greenbrier this year! 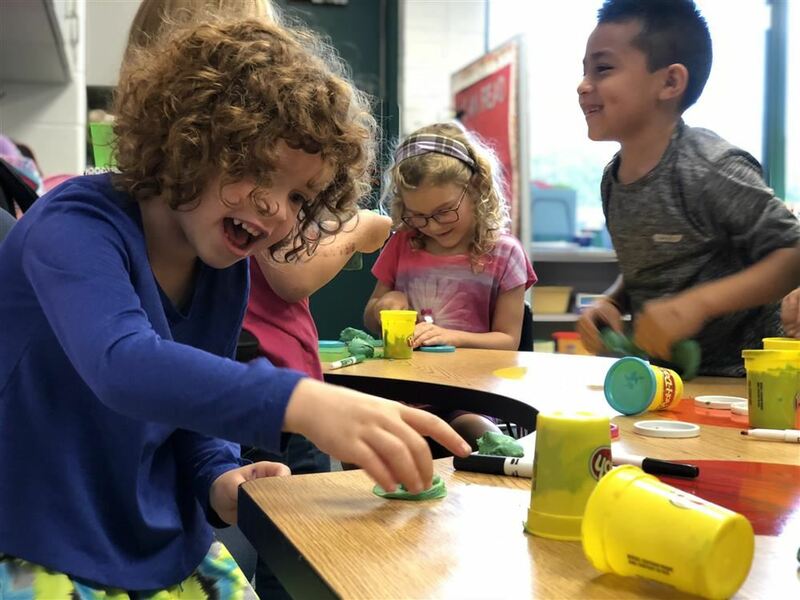 10/3/18 - Students are creative, inspiring and innovative, no matter the age or what tools they have. Egg drop at Olive a success! 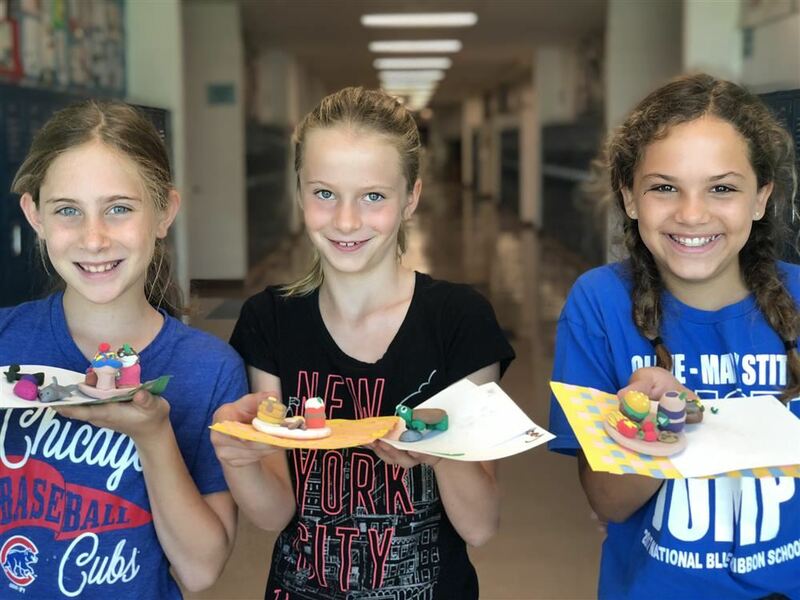 9/19/18 - Students work in teams to keep eggs safe as they are dropped off the roof at Olive. Everyone loves a high five to start a Friday! 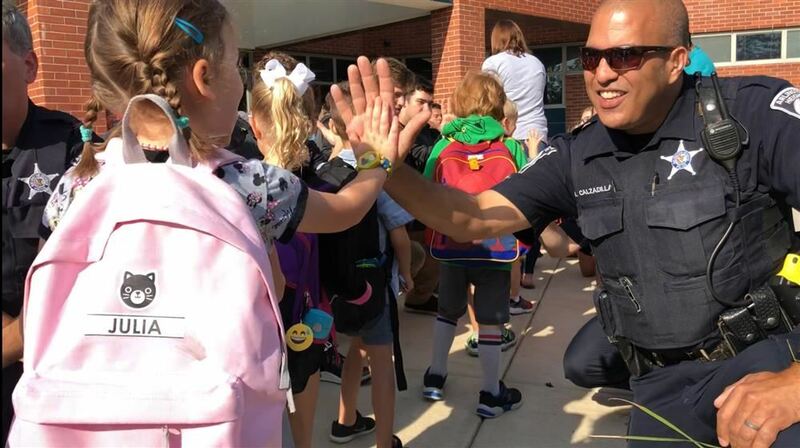 9/10/18 - The Arlington Heights Police Department and the Hersey High School Soccer team greeted the Panthers with smiles and high-fives to kick off their day. 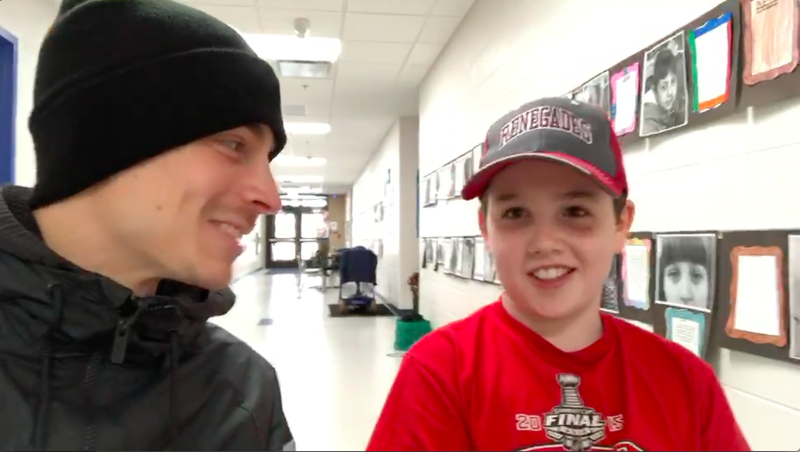 VIDEO: Math is his favorite. Let's find out why! 9/7/18 - When students love learning, we know our teachers are having an impact. 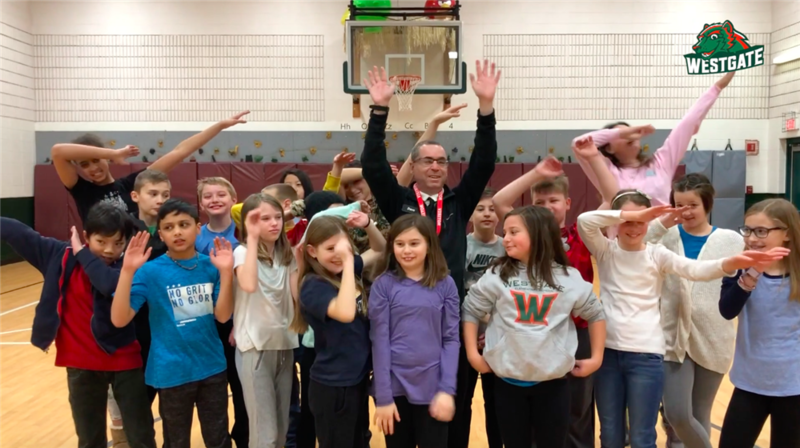 Last Friday, Olive students were surprised with a High Five Friday and a visit from the smiling Arlington Heights Police Officers and the Hersey Football team and cheerleaders! 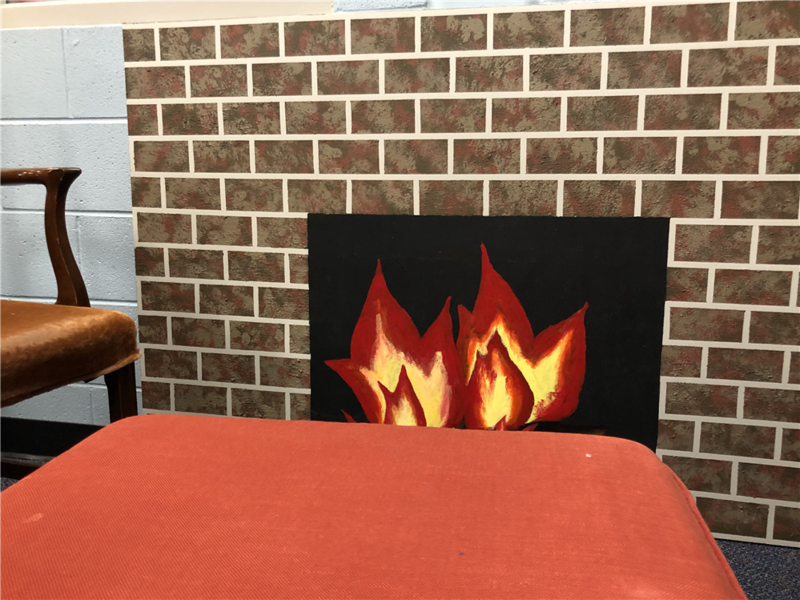 This is a great example of the creative ways our teachers and staff reach our students. 8/21/18 - Students and families lined outside of Westgate to celebrate the first day of school. 8/16/18 - Last year, Thomas Middle School completed it's expansion, and this year, the Village's Design Commission honored it as the commercial project for "Excellence in Design". 8/2/18 - The community gathered on the links to raise funds for the Pride of the Wolfpack movement at Thomas Middle School. 6/30/18 - Students learn teamwork, math, collaboration, trial and error, and engineering at Summer U's R/C Car Racing class. 6/26/18 - After 24 years in District 25, the Dryden community thought one Admin Assistant needed a proper send off. 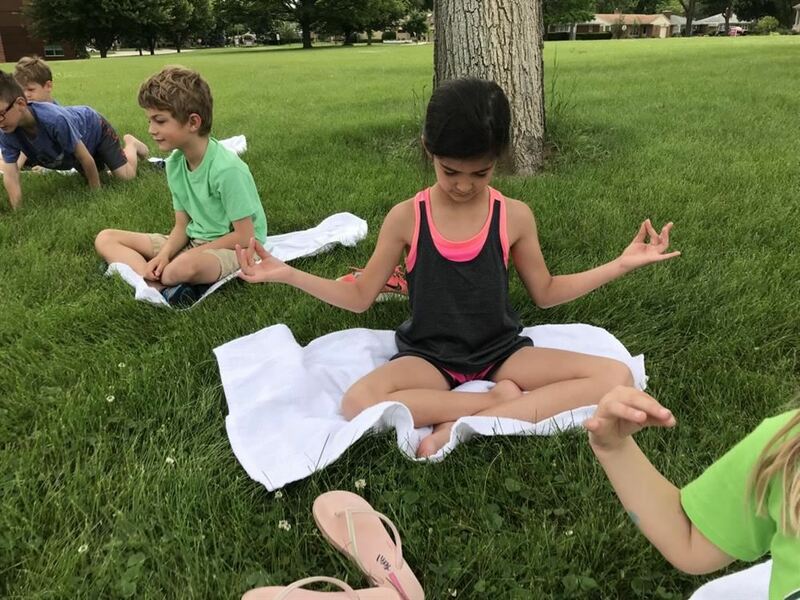 6/18/18 - Students are learning to recognize their feelings and cope with them in one Summer U class. 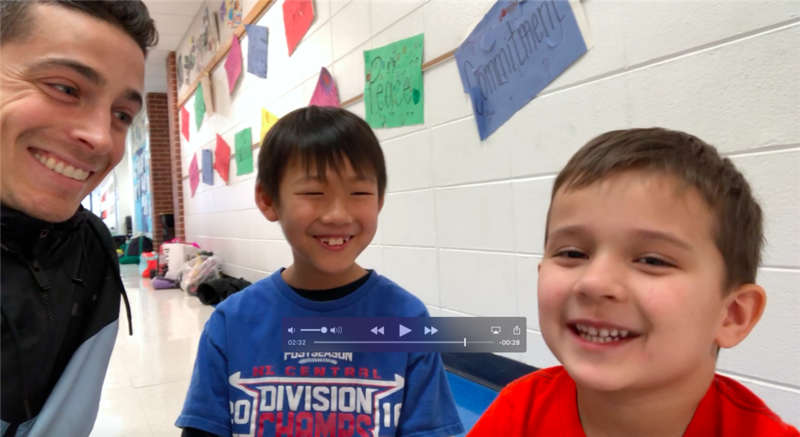 5/2/18 - Two students at Westgate do some learning of their own before joining their classmates at Westgate. 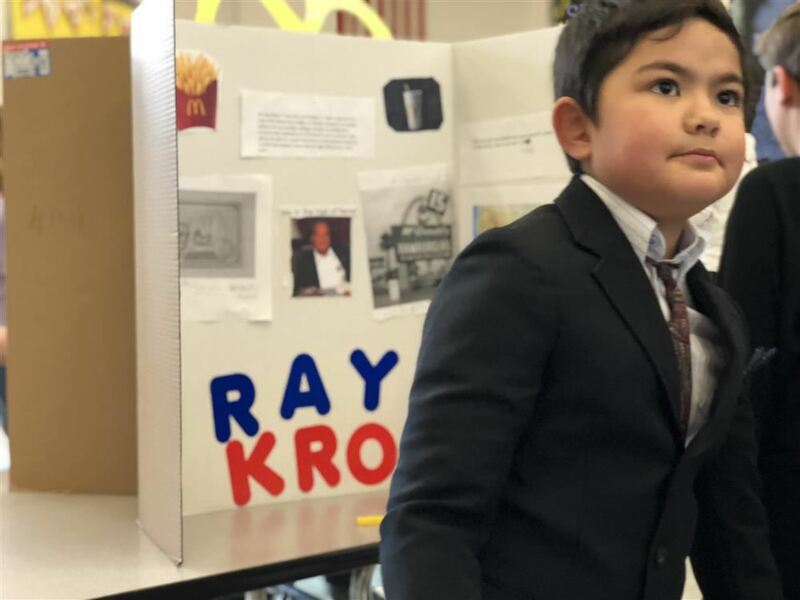 4/24/18 - Meet Ray Kroc. He turned McDonald's into a global franchise, then bought the San Diego Padres at only 8 years old. 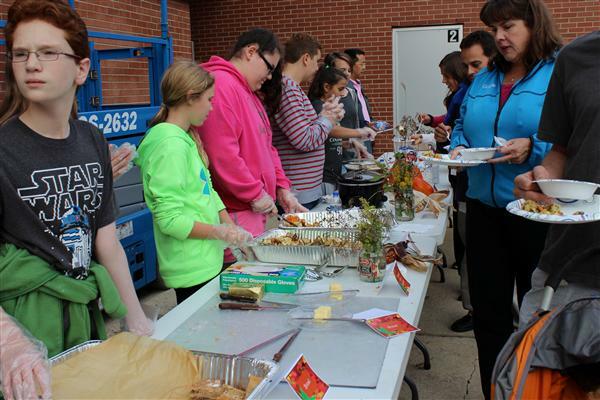 4/19/18 - Lunch was extra special on this day as BG High School students show what community really is. 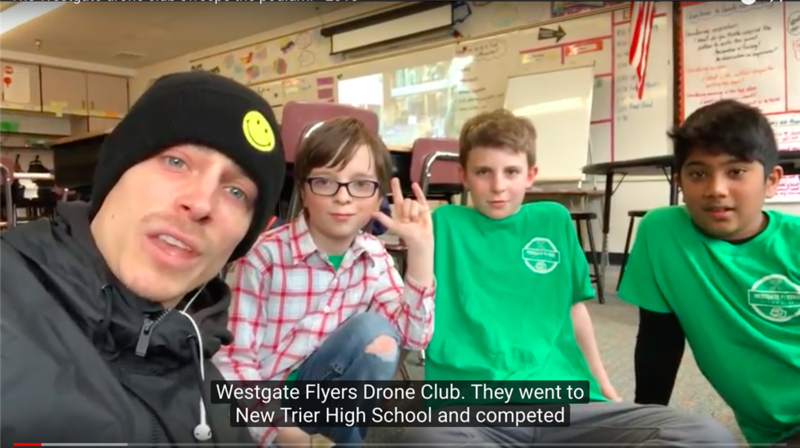 4/12/18 - The Westgate Flyers drone club finished it's first year as champions at New Trier's drone competition. 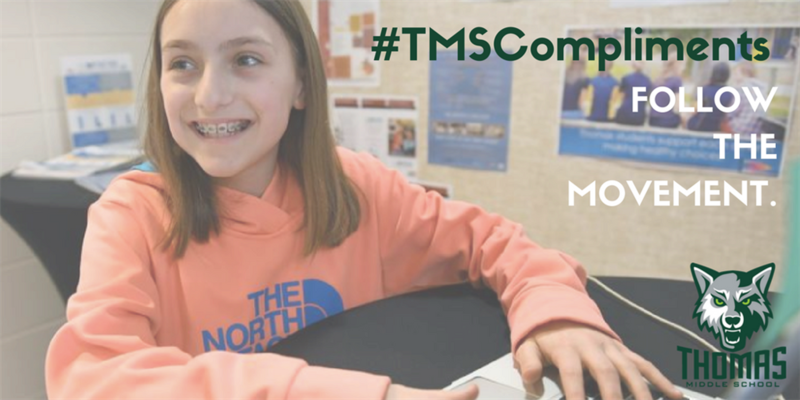 3/9/18: Students at Thomas change the Twitter game with hashtag #TMSCompliments. 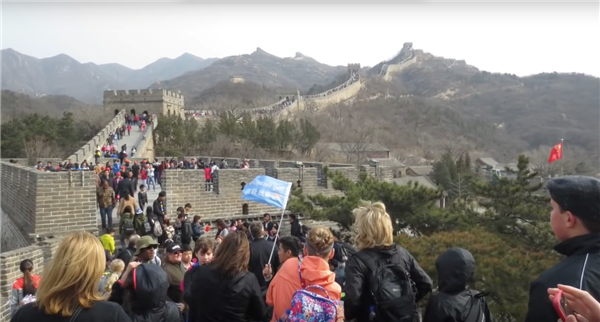 4/4/18 - His mission is to climb to the top of every continent. Next up is Mount Everest. 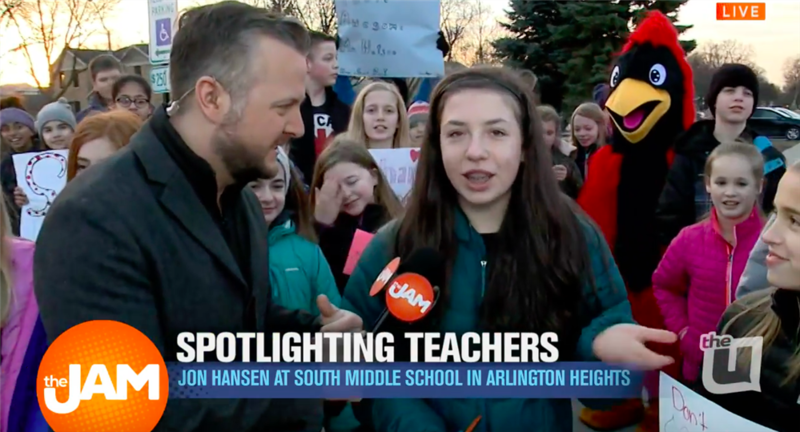 4/3/18 - Students at South are filling a need for a quick and easy way to spread news in Arlington Heights. 3/8/18 - Student's in South's photography club are learning to see their school in a different light, texture, and color. 3/7/18 - Principal FitzPatrick transformed into 'Little Becky' overnight so she could experience what a day in the life of an Owl is really like. 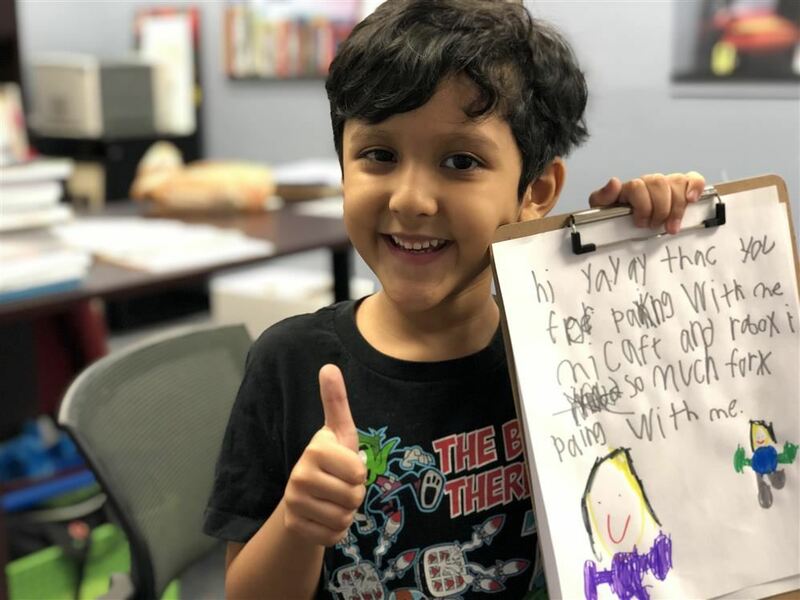 3/6/18 - Local Arlington Heights businesses hired some inexperienced but eager workers last week. 2/28/18 - Research is underway in fifth grade for their wold explorer essay due soon. 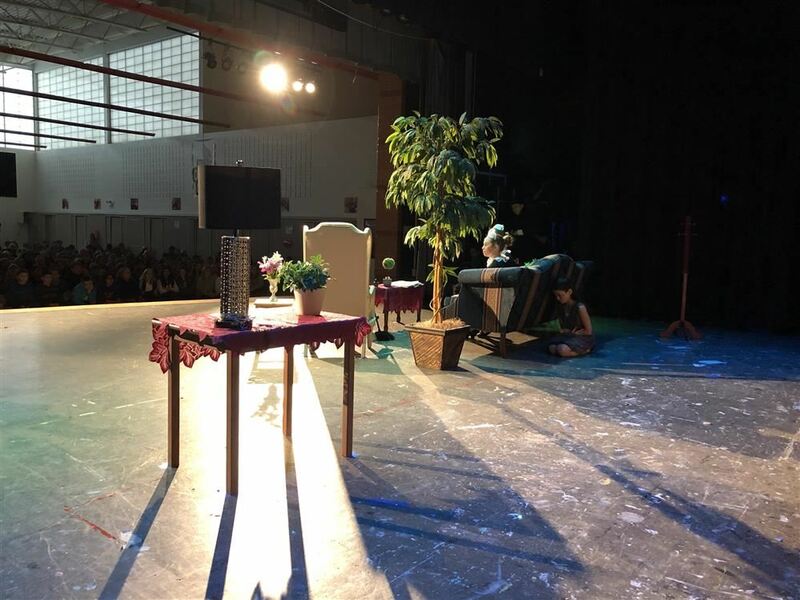 2/26/18 - This area conference was for the students and by the students. 2/16/18 - The Wolverines of Westgate show how they lead. 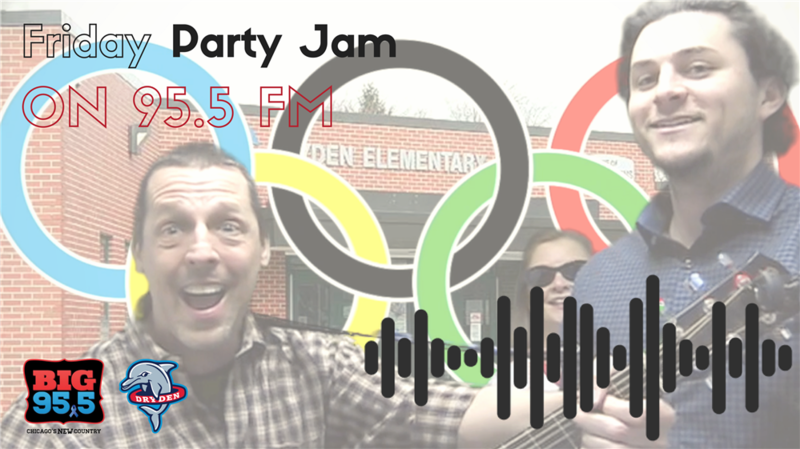 2/16/18 - Two Dryden teachers put together a jam to kick off everyone's weekend that ended up inspiring a radio station in Chicago. 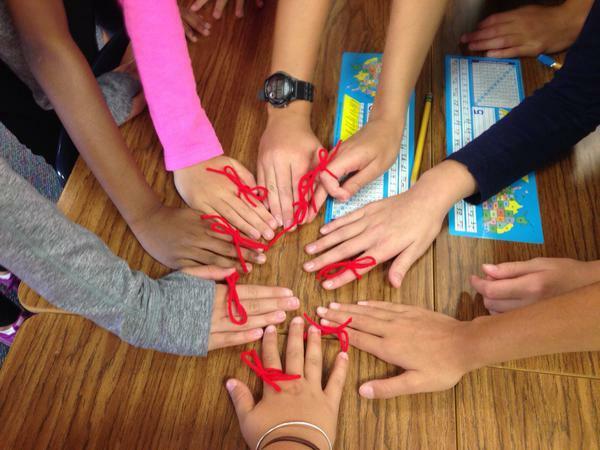 2/15/18 - Mrs. Palm's classroom experienced their 'Mindful Minute' with their buddy classroom. An automated surprise for Ivy! 2/2/18 - Author/Illustrator Peter H. Reynolds visited Ivy Hill and inspired any future artists with a big surprise! 1/29/18 - It's been a 'One of a KIND year at Patton' and the Panthers are learning a lot. 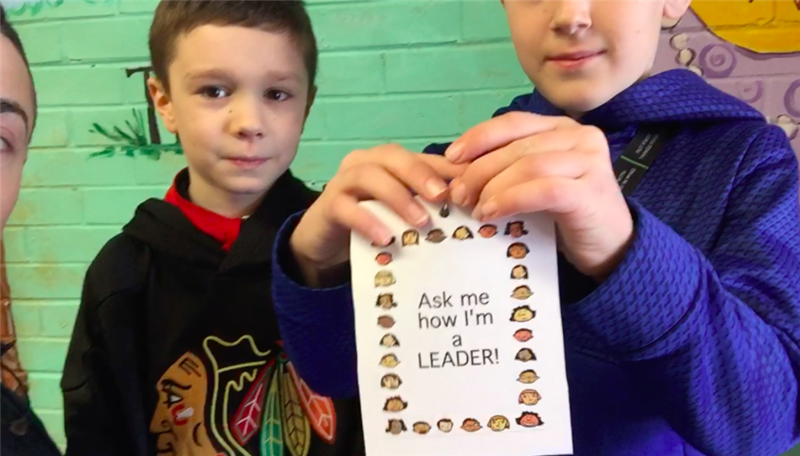 1/17/18 - In Mrs. Arce's second grade class, the Leader of the Day is nominated by his/her classmates. Here's an example of what that looks like. 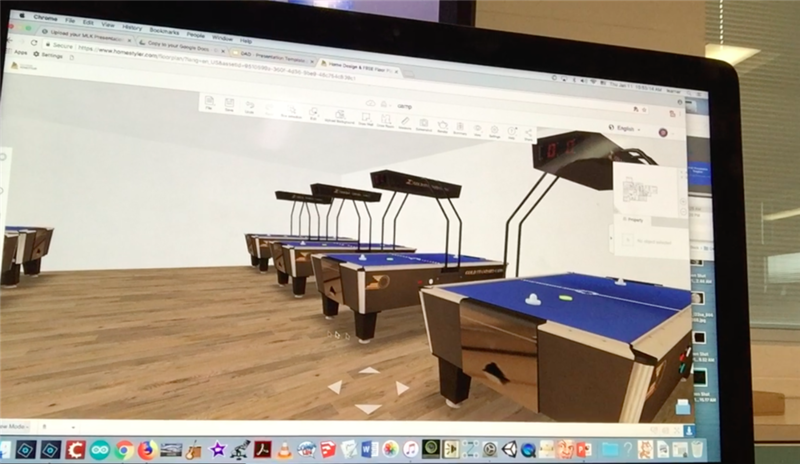 1/11/18 - These two students used their personal experiences to design a fully functioning sleep-away camp for teenagers. 12/19/17 - We caught up with the student council presidents at Thomas last week during their wrapping event. South captures 3rd in state! 12/18/17 - Congratulations to the SMS 8th Grade Girls Basketball team for placing 3rd in the state tournament! 12/18/17 - Why pay for pricey tickets for the ballet? 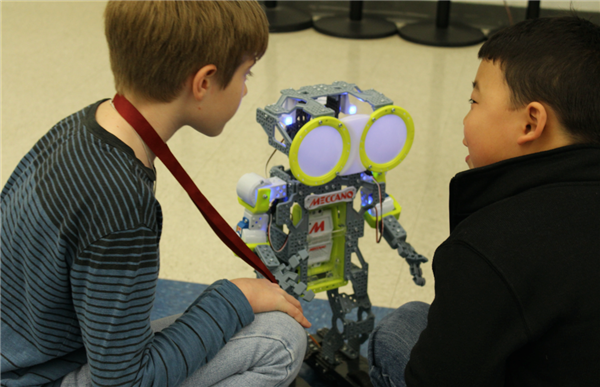 Our TMS STEAM students can program one for you. 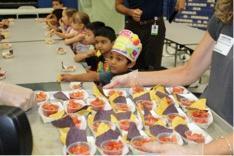 12/8/17 - First graders at Olive wrapped up their unit on U.S. symbols with a very official luncheon. 11/21/17 - Who better to answer that question than the OMS Olive students themselves? 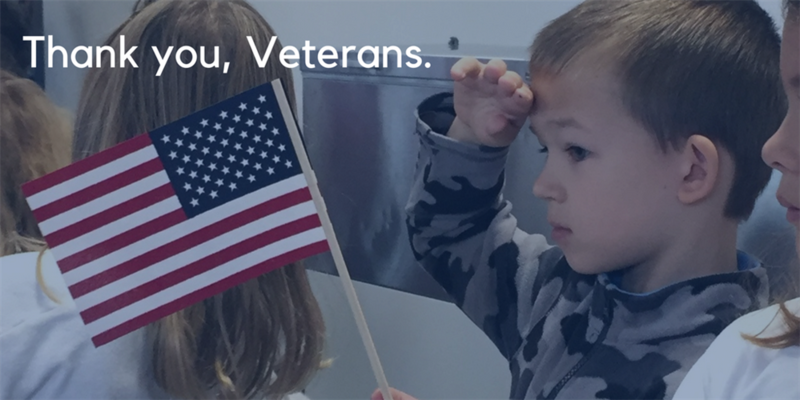 11/11/17 - Veterans Day was celebrated and Veterans were honored throughout the District, in many ways. 11/10/17 - Last night, the OMS Olive first graders helped with the local weather! 11/8/17 - Students conduct an experiment all day outside of Olive to picture how the sun travels across the sky. 10/25/17 - Tornados, tsunamis, planets, moons, dinosaurs and more, without leaving the classroom! 10/12/17 - South and Dryden had some visitors from Sicily and everyone learned a lot! 10/6/17 - Our fifth graders had a very real experience of the pre-revolutionary war time as they pushed through the drizzle to walk through a village. 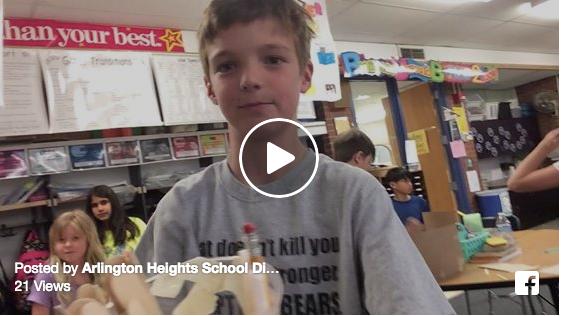 Video: Hi, Hobby Elementary. You're not alone. 9/26/17 - Hobby Elementary School is one of the many victim schools from Hurricane Harvey in Houston, and two of our schools wanted to send a message along with the donations they have collected. 9/20/17 - District 25 schools are partnering with one another to help hurricane victims in Houston, and one student took it a bit further. 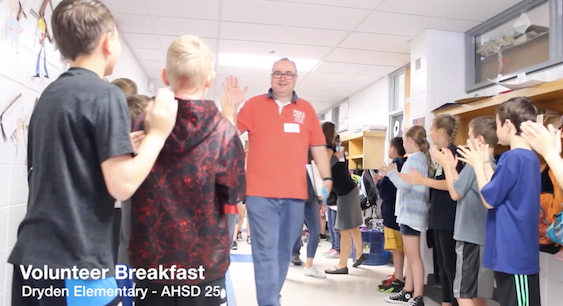 VIDEO: Olive-Mary Stitt is a National Blue Ribbon school in 2017! 9/7/17 - The news came in on Tuesday (9/5) night and Principal Fitzpatrick and the D25 Admin team couldn't wait to tell the staff, community and students! 8/25/17 - The kids were cut loose in their new gym space at Windsor! 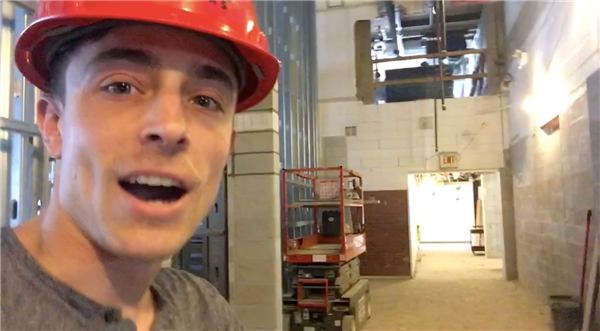 7/7/17 - Take a walk through Thomas with Communications Coordinator Adam Harris and see the new gymnasium, new front entrance and expanded commons! 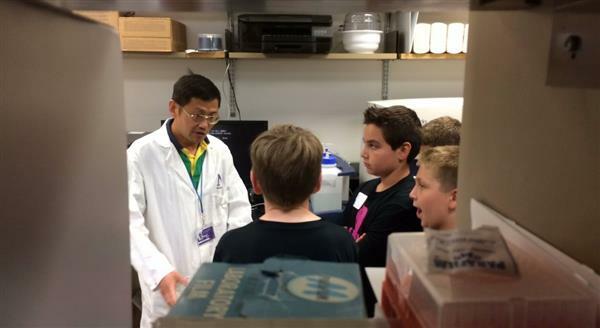 6/28/17 - Before eight 5th graders graduated Ivy Hill they put together a $1,210.50 donation to Lurie Cancer Center at Northwestern Medicine. 6/23/17 - This was genuine surprise and joy from one of our fifth graders at Olive. 6/23/17 - Smoothies, more friends, more clubs...these five are ready to jump right in and get involved as they transition from elementary to middle school! 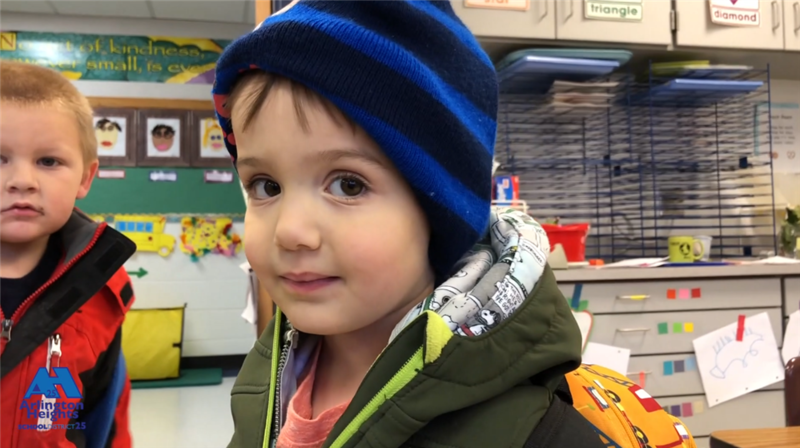 6/16/17 - We asked a few of our graduating kindergartners what they were most looking forward to about entering first grade. 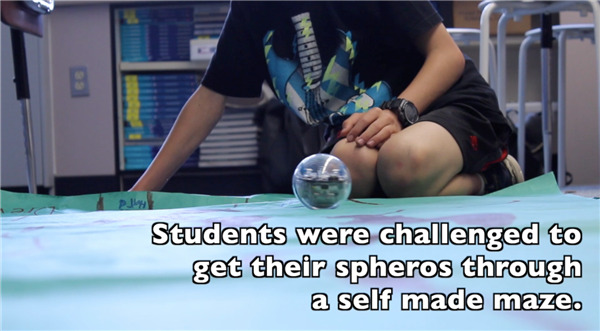 6/14/17 - Westgate's Sphero Club kicked off this past Spring with a generous grant from GCAMP. 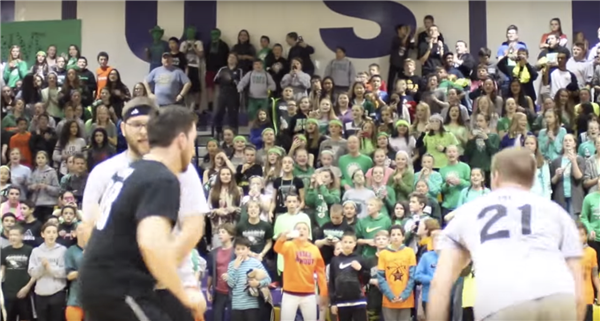 VIDEO: Everyone Rocks at District 25! 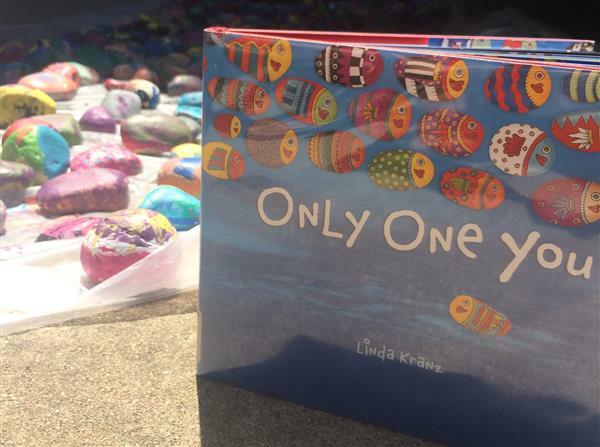 6/12/17 - Windsor Elementary School students painted rocks as unique as they are to end the school year. 6/10/17 - Lois Wardecki had a special bond with the community she served for 17 years. 5/31/17 - Graduating seniors at Hersey High School returned to Patton Elementary School to walk the halls one last time before walking up on stage to get their diploma. 5/31/17 - Fifth grade students at Windsor Elementary were seen behind counters, in stock rooms and wearing aprons all morning for their annual World of Work day. 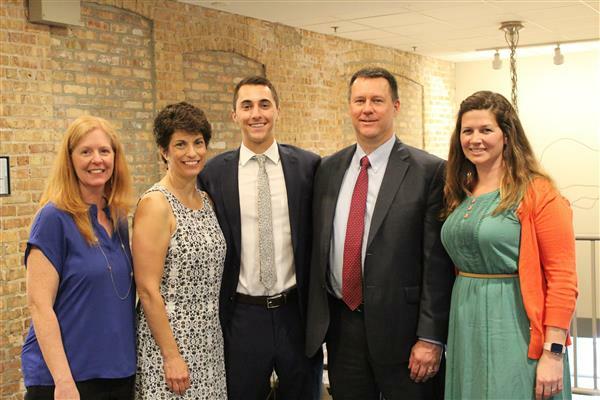 One Arlington Heights family now has three recipients of the District 25 PTA Scholarship awarded yearly at the scholarship recipient breakfast in mid-May. 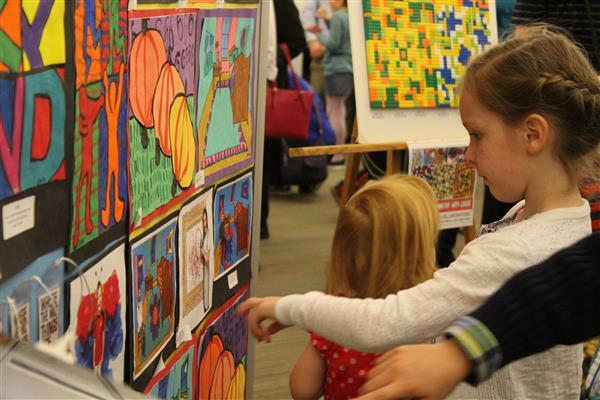 VIDEO: D25 Student Art Show! 5/4/17 - This was the 25th year the Arlington Heights Library hosted this show! 4/27/17 - Thomas inducted two new members into their Pride of the Wolfpack Hall of Fame today and we caught up two members! 4/25/17 - Today students at Patton were inventors, engineers and designers. 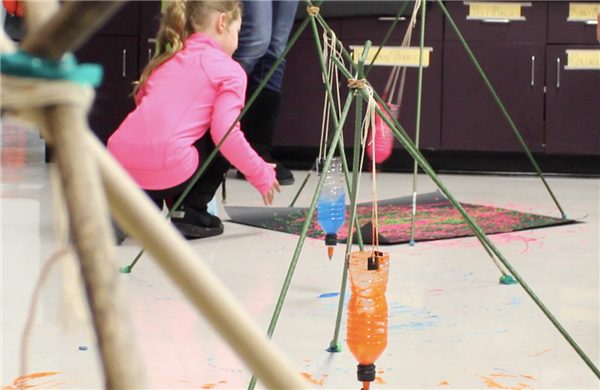 Their creative minds were pushed to the limit, and what resulted was impressive! 4/19/17 - Figuring out engineering solutions for the book Cloudy with a Chance of Meatballs with students from Brazil! 4/12/17 - Peter Brown, author/illustrator of The Wild Robot, visited all D25 elementary schools to inspire and motivate! 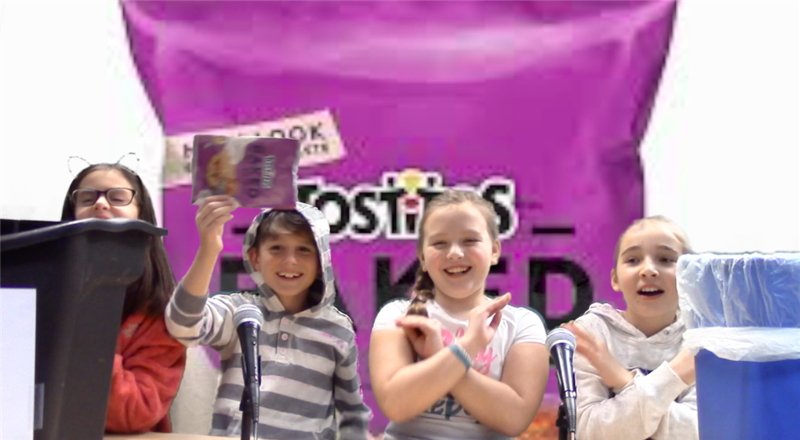 VIDEO: Why did these BG students want to visit TMS? 3/15/17 - One hundred and forty-five BG Bison High School students chose to make their difference felt at Thomas. 3/1/17 - Mystery Readers, High School athletes and future educators, flashlight reading, and more! 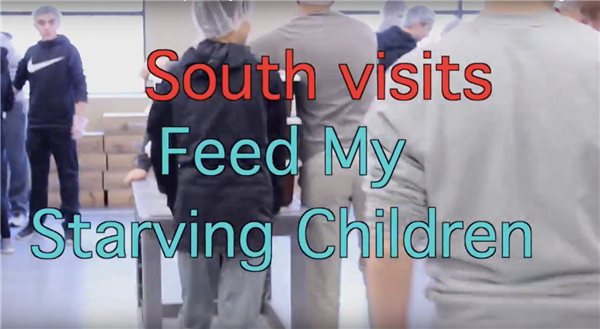 12/19/16 - The entire 8th grade class at South Middle School embraced the holiday spirit, donating their time, effort and raised funds for Feed My Starving Children. 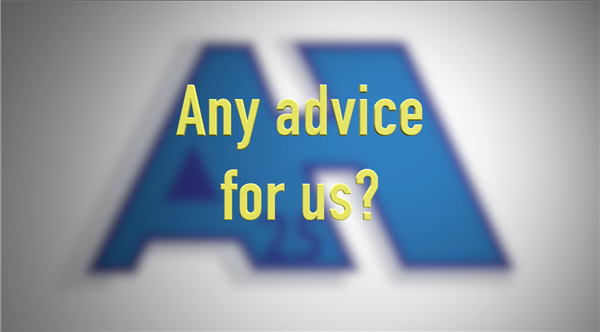 VIDEO: What is your hope? 10/31/16 - Students and staff at Thomas were presented with a question as they walked into school one day. 8/25/16 - District 25 has a dedicated and passionate retiree community. 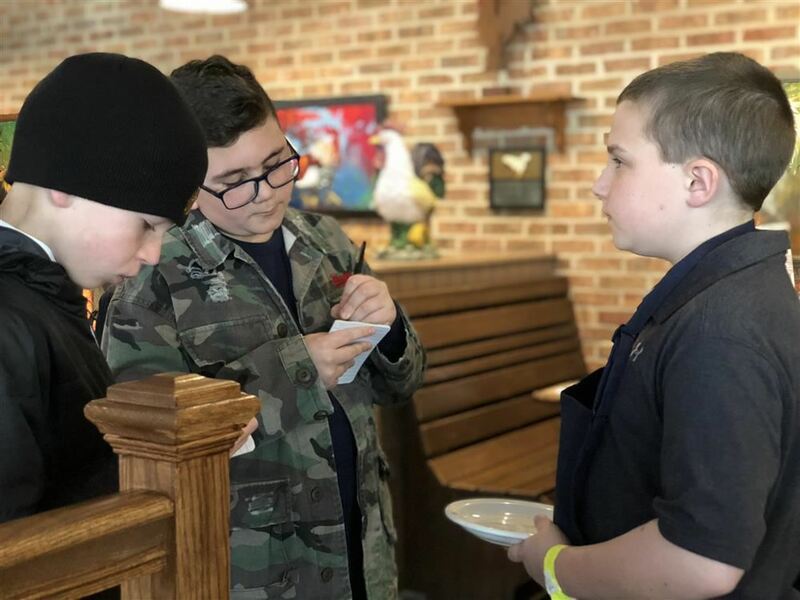 They took time to give some advice to the current staff on Opening Day. 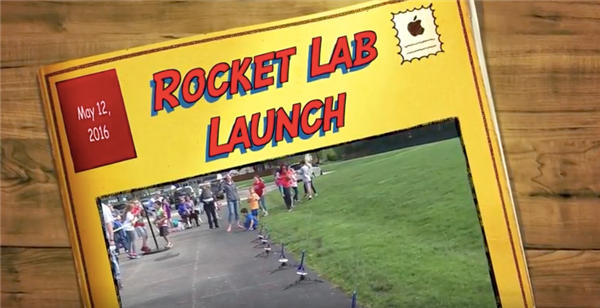 5/16/16 - The student run Patton Press covered Patton’s annual rocket launch last Thursday. 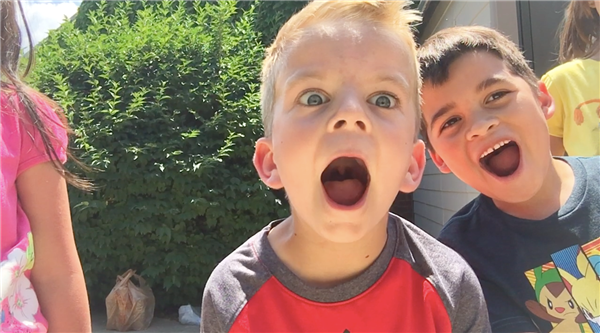 Check out their story here! 5/13/16 - Dryden Elementary school students and staff honored their community members who helped make their exciting year possible. 4/11/16 - Teachers balling out in front of the entire student body? You got to see this story! 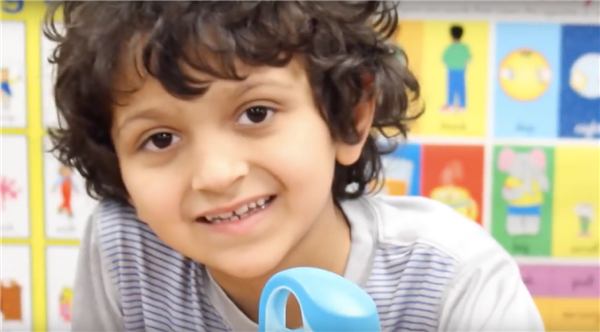 3/14/16 - Technology in the classroom brought one country to life for Olive. 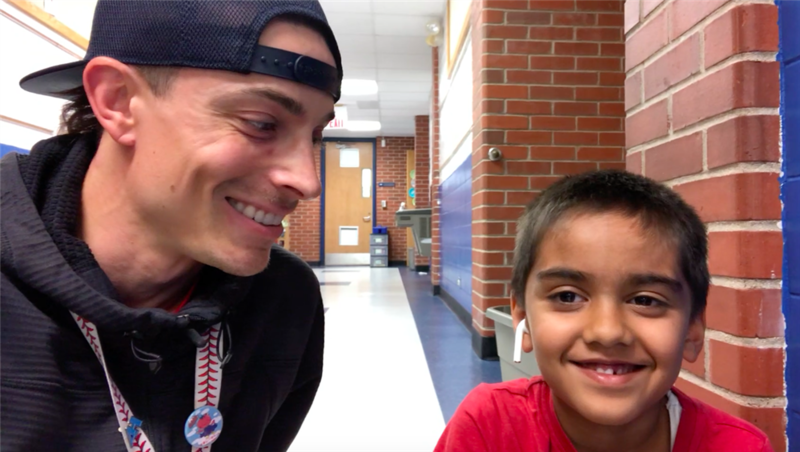 Watch as second grade students connect across the Atlantic. 3/11/16 - Thomas Middle School was jam packed with Arlington Heights community members ready to learn from the young tech experts in District 25. 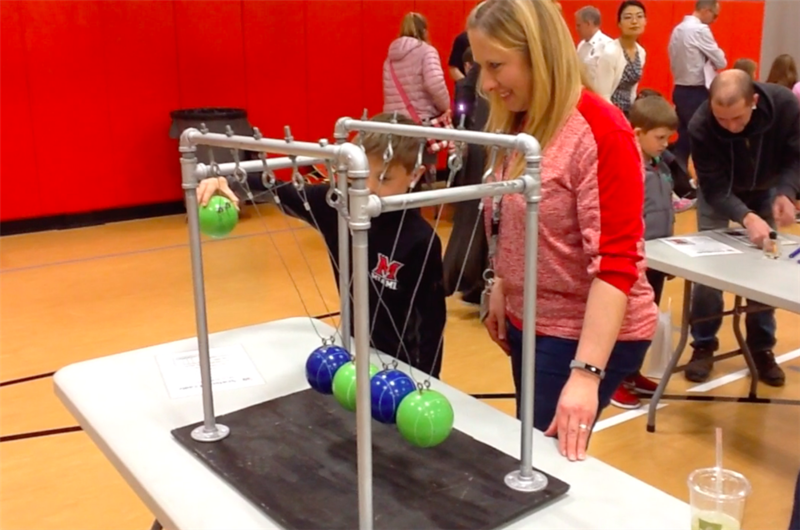 1/25/16 - Video: Over 200 parents and students from the Patton community joined in the STEAM fun last Thursday night together. 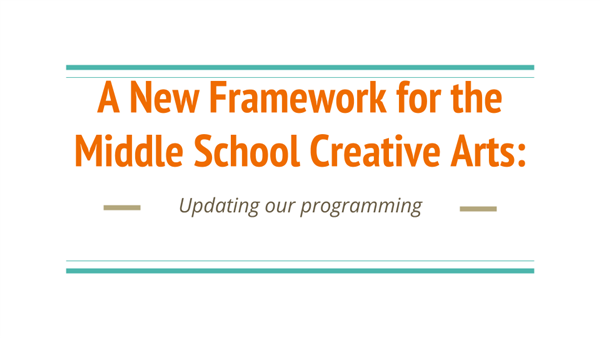 1/7/16 - VIDEO: Parents...stay informed HERE on the proposed changes to the middle school’s creative arts program. 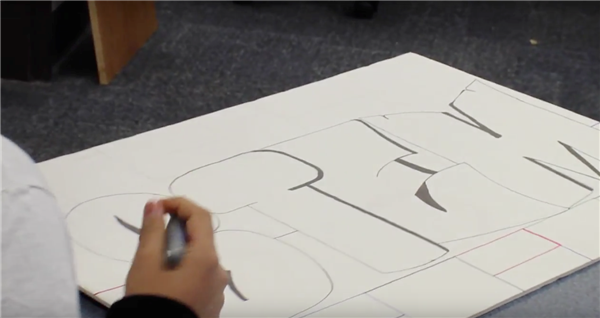 12/2/15 - VIDEO: The Owl Service Learning Club was at it again, following a Character Counts theme with an initiative that benefits the community. 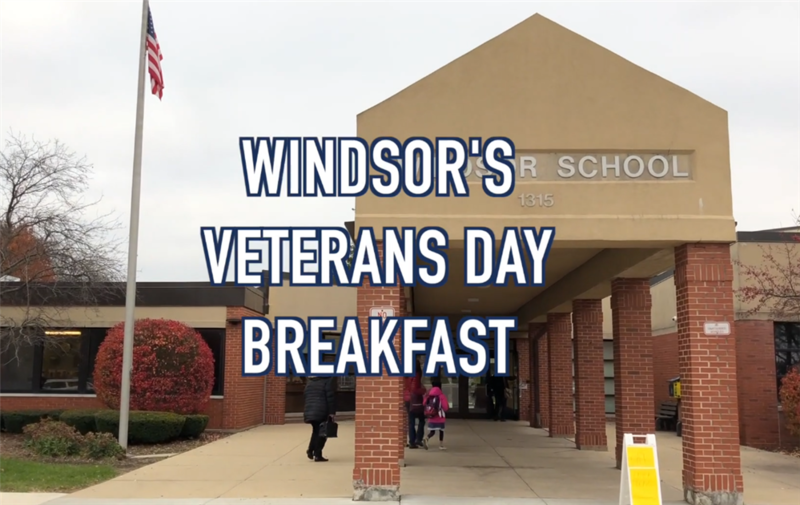 11/11/15 - VIDEO: All nine District 25 schools embraced Veterans Day today, honoring many of the Arlington Heights veterans with celebrations, ceremonies and food! 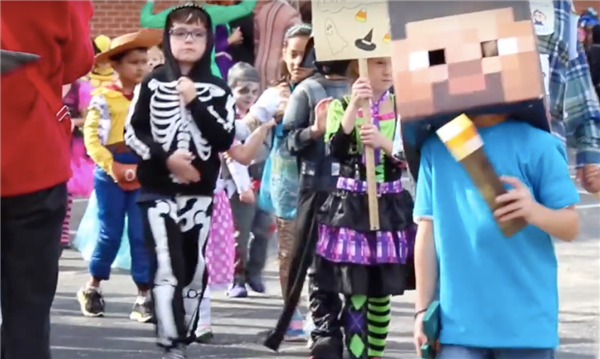 10/31/15 - VIDEO: Halloween in District 25 is a fun, exciting and energetic day that takes effort from parents, staff and the PTA! 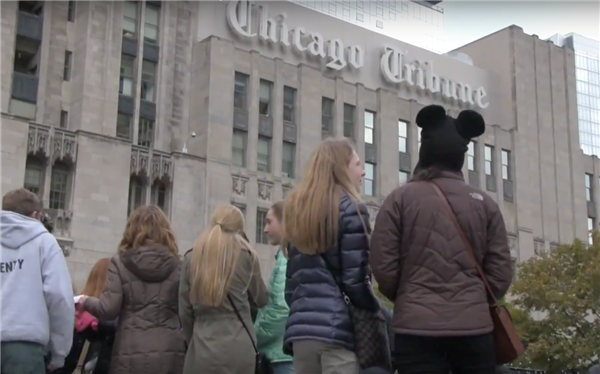 10/29/15 - VIDEO: Thomas LA students had the thrill of traveling downtown and participating in the Tribune's editorial board meeting. 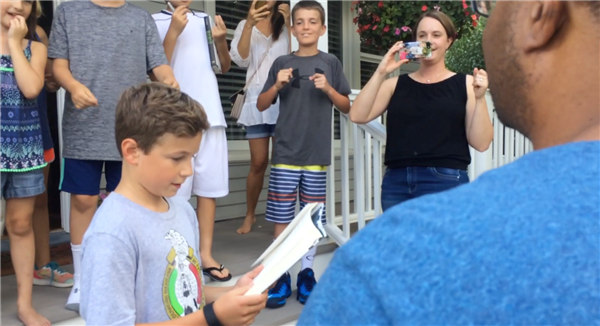 10/19/15 - VIDEO: Today was a day to kick off the yearly initiative of SPPRAK. SPPRAK stands for Special People Performing Random Acts of Kindness. Here’s how it works. 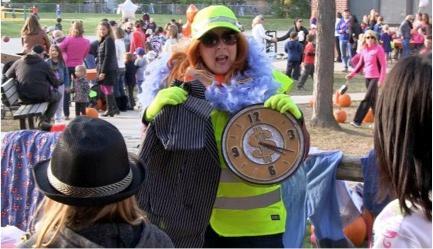 10/19/15 - VIDEO: The entire Patton Elementary community was invited to a pumpkin patch Friday that included two tons of pumpkins and other surprises. 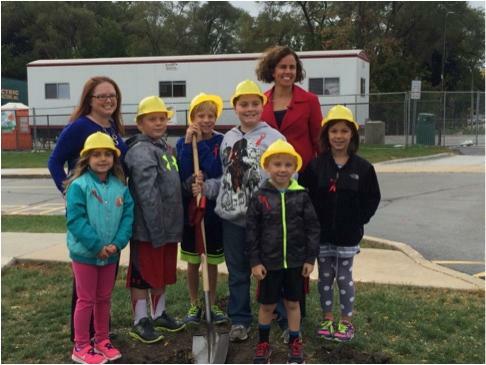 10/14/15 - VIDEO: Construction is officially underway at both Ivy Hill Elementary and Olive-Mary Stitt Elementary, and the students are excited. 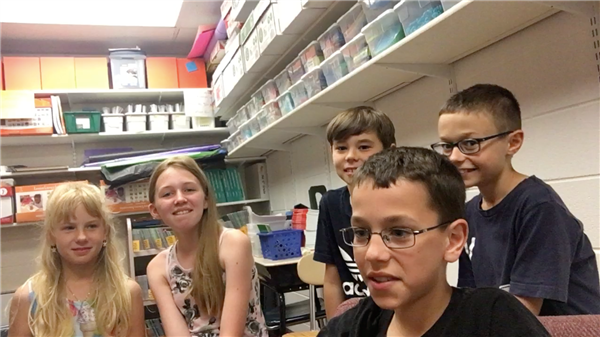 10/8/15 - VIDEO: Today, fifth grade students hopped on a bus that doubled as a time machine dialed up for Colonial America. 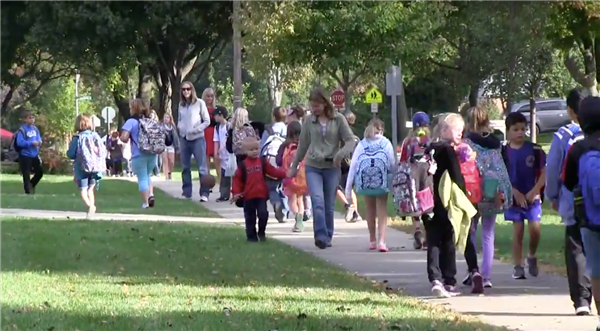 10/7/15 - VIDEO: Busses were emptier than usual this morning, as students all over Arlington Heights School District 25 laced up and begin their day on their feet, celebrating International Walk to School Day. 10/2/15 - VIDEO: Today the First Responders of the Olive community were to be honored in a special way. 10/1/15 - Thomas Garden Club members were there from start to the finish in meals served to the community Tuesday night. 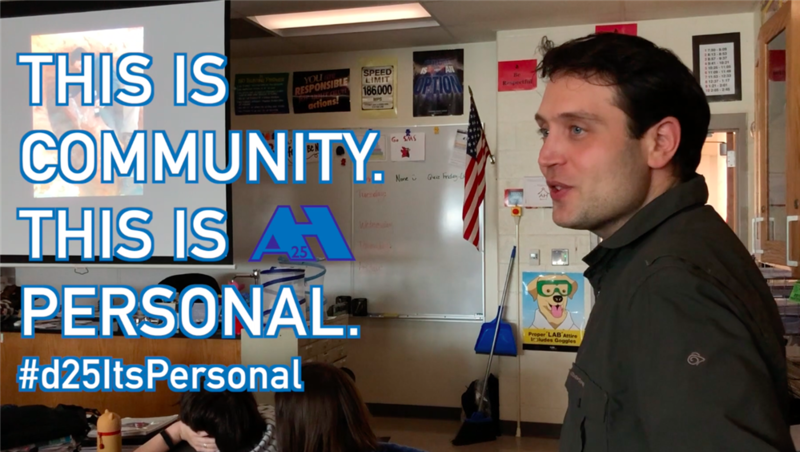 9/25/15 - VIDEO: NFL veteran, middle school author and defense attorney, Tim Green, told his inspiring story to AHSD 25’s middle school students last Thursday and Friday. 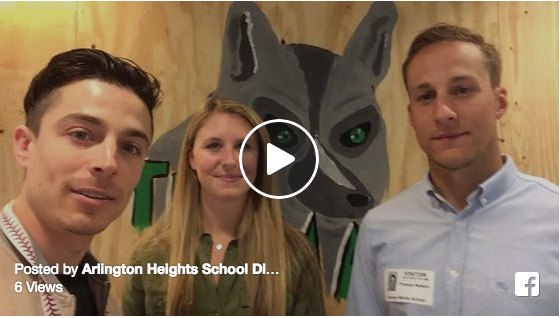 9/11/15 - VIDEO: Students, teachers, administrators and all staff of Arlington Heights School District 25 honored Patriot Day by remembering, reflecting and celebrating hope, youth, community and peace within the district and the Arlington Heights community. 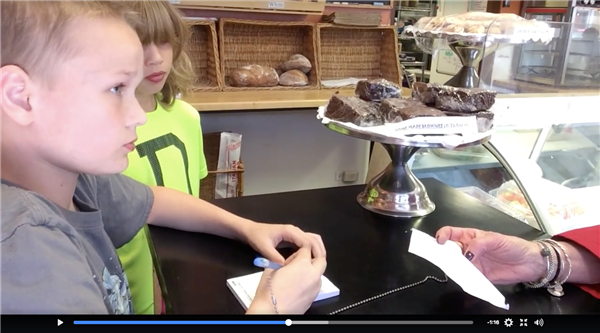 9/4/15 - VIDEO: From the farm to the table, Ivy Hill Elementary was able to enjoy a years worth of work today.